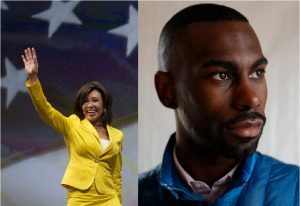 A New York State Supreme Court judge dismissed a defamation lawsuit against Fox News and one of its hosts, Judge Jeanine Pirro, brought by civil rights activist DeRay McKesson who claimed that Pirro implied that he incited violence against a police officer. McKesson sued Pirro saying she made “a series of outrageously false and defamatory statements” about him in September 2017. In describing a civil complaint brought by a Baton Rouge police officer injured during a protest, Pirro said that McKesson should have been liable for the officer’s injuries because he “directed” violence against him. A judge dismissed the lawsuit brought by the officer against the Black Lives Matter movement, determining that a movement couldn’t be sued. Pirro and other Fox news commentators took issue with the ruling, prompting Pirro’s comments. “Pirro’s lack of temperament and caustic commentary is what she is known, celebrated, and frequently criticized for,” the judge wrote in his decision. “However divisive one might find the subject two-minute sequence, the law of this state protects the expressions of opinion it represents,” he added. Watch Pirro’s comments that sparked the lawsuit below.